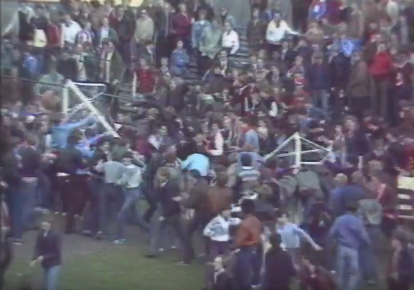 To the layman, most incidents of supporter disobedience are classed as one, mainly seen as random acts of violence and thuggery. 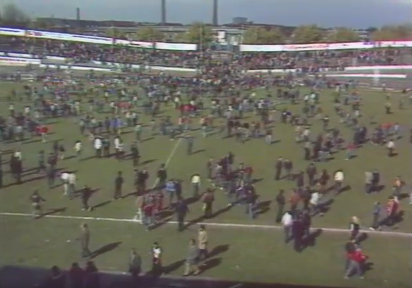 But the reality is far deeper than this, with pitch invasions being a good example of something that can happen for several different reasons. 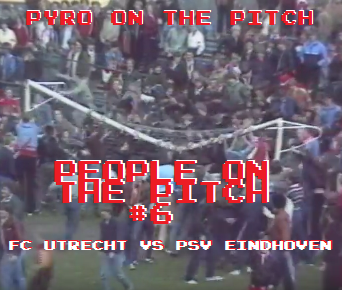 As you know by now, we like to cover a variety of different pitch invasion types here in the People On The Pitch series. 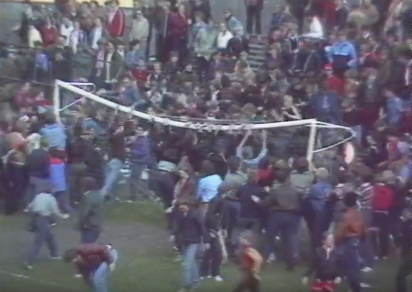 So far we have seen some classic discordian mischief from a drunk Aston Villa fan in 1982; chaotic joy at Wales vs Scotland ’66; an après match French rugby cup final victory invasion in ’79; an après match Northern Irish cup final running battle in ’83; and more chaotic joy in 1978 northern England (a rarity). And there are more to come. 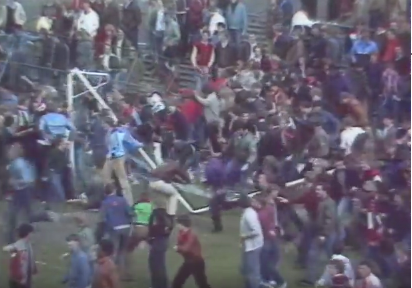 In this edition, we look at another post-match pitch invasion and the actions that follow, which to the unknowing eye would appear to be a shocking act of destructive mass vandalism and the collapse of western civilisation. 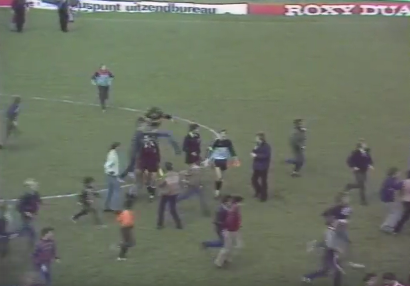 As we have established early on, the Dutch possessed one of the great crowd trouble cultures of the golden era and as promised we shall be seeing more and more of them. 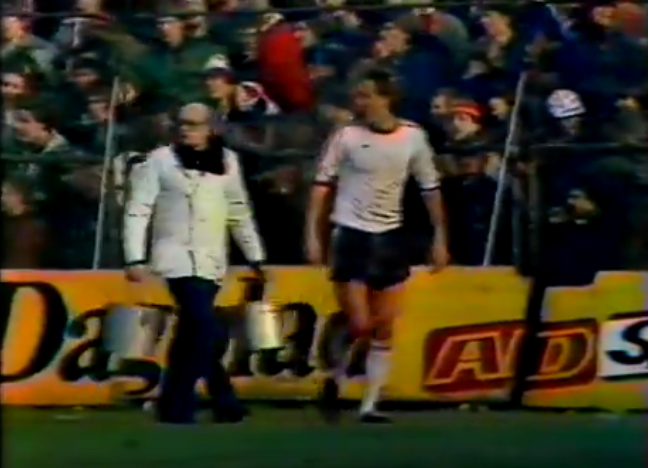 Hence, today’s scene is the Stadion Galgenwaard of FC Uterecht as it was in April 1981 for the visit of PSV Eindhoven. 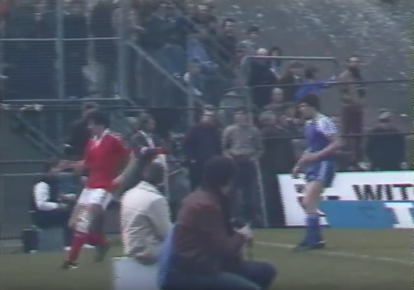 Like most things in the Dutch league at the time, the stadium was classically quirky and unorthodox and basically like something from a wonderful wet-football dream to us. 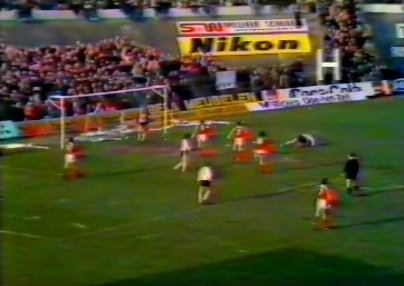 Some shots from a game vs Feyenoord a couple of months prior give a good look at the unusual architecture of the ground, which includes huge concrete slopes, a “dip” in the middle of the main stand which makes you think you’re tripping, and lots of lovely diagonal terracing. 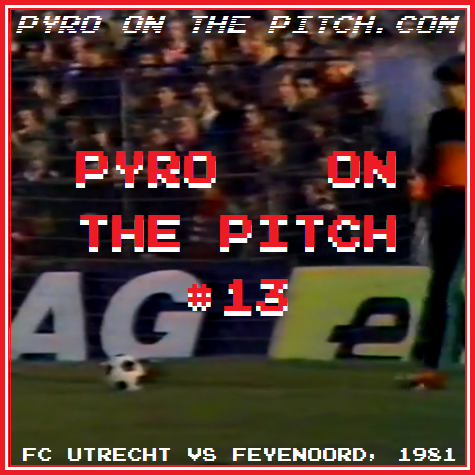 Incidentally, that Feyenoord match above is notable for some other reasons but, since we are not behooved to linear time here in the Pyro On The Pitch dimension, we will come back to discuss that at a later date. 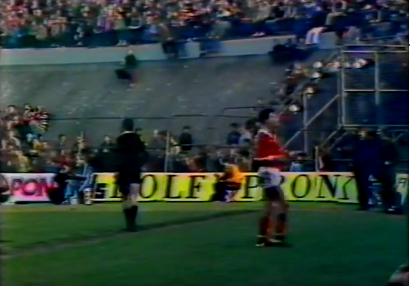 What’s so special then about the PSV game on April 19th, 1981, is that it was unfortunately the last time the Galgenwaard would be seen in this form as the stadium was to be rebuilt in a more modern style and reopened the following year. 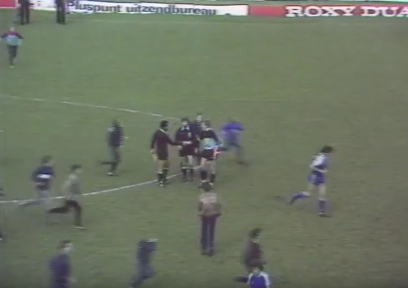 This would be slightly more of a big deal but for the fact that the ground, like FC Uterecht itself (founded through the merger of three other local teams), was actually only created in 1970. 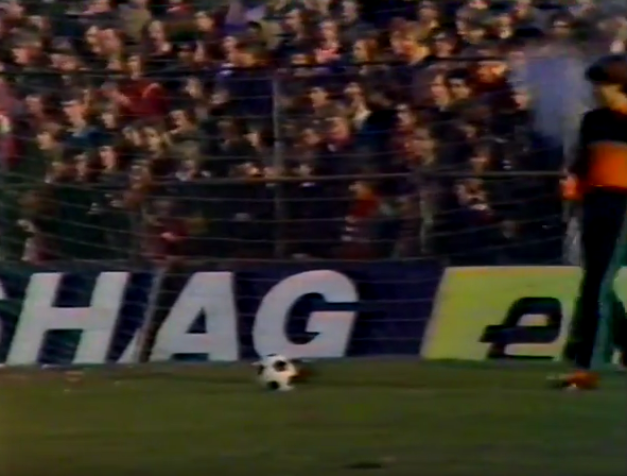 Even so, with the passionate Ducth football scene of the time, a large and impressive fan culture had grown around the club with the likes of PSV and Feyenoord attracting 15-16,000 and 20,000 for Ajax. We join the action in the dying stages of the game as a 0-0 draw is being played out. Officially approx 15,000 is in attendance, slightly less than the PSV game, but in comparison it looks a greater difference. This is particularly noticeable where the entire left concrete slope is now visible, seemingly cordoned off in preparation for the reconstruction. Perhaps terracing had already been removed leaving the slope bare, but we’re just going to assume that people had somehow been standing on the steep concrete up to this point as it would be much better. A smattering of fans still hang around the edges. 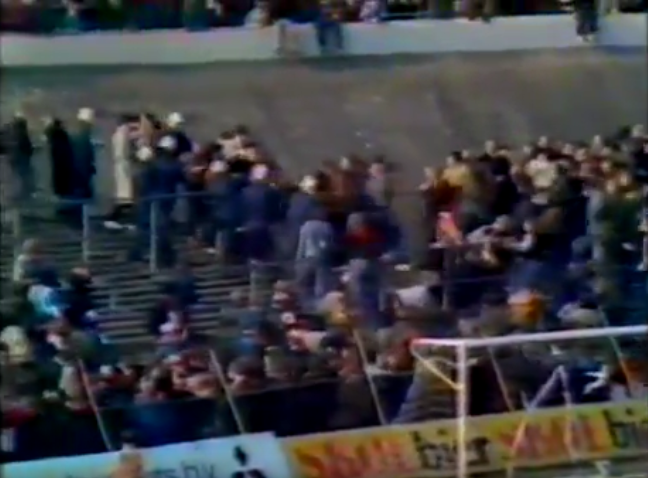 The diagonal terracing around the ground is also not full, giving us another good look at it. 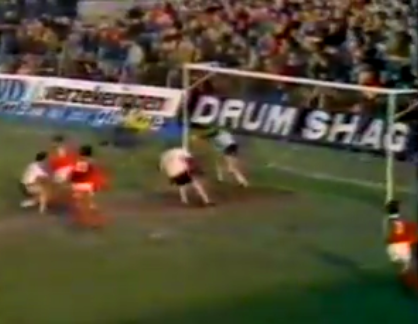 But just take a moment to appreciate that beautiful, classic white and black football too. 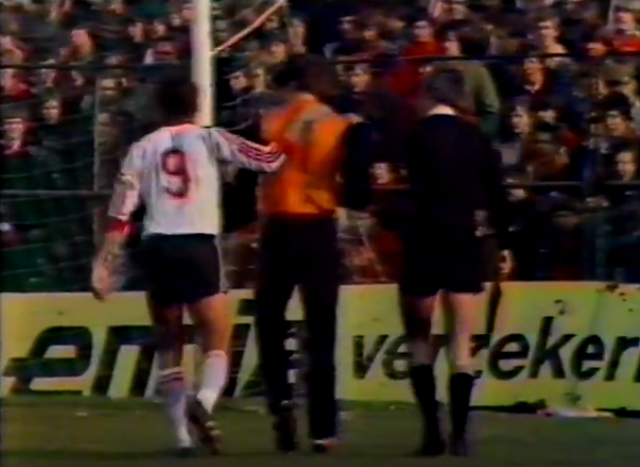 One last PSV attack comes to nothing and the referee blows his whistle to mostly jeers and whistles, as the Galgenwaard formally completes it’s duty in it’s original form. 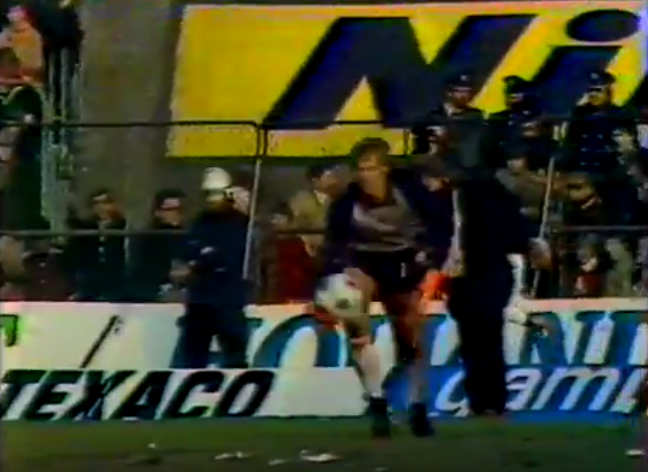 As the players and officials shake hands, a multitude of youths (and some older people but we love youths) breach the pitchside fences and teem past. 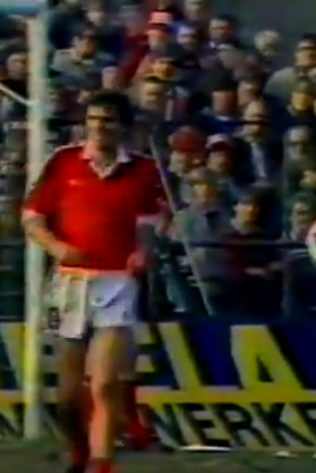 One supporter even appears to attempt a running kick towards the ref, but this was probably only in jest. 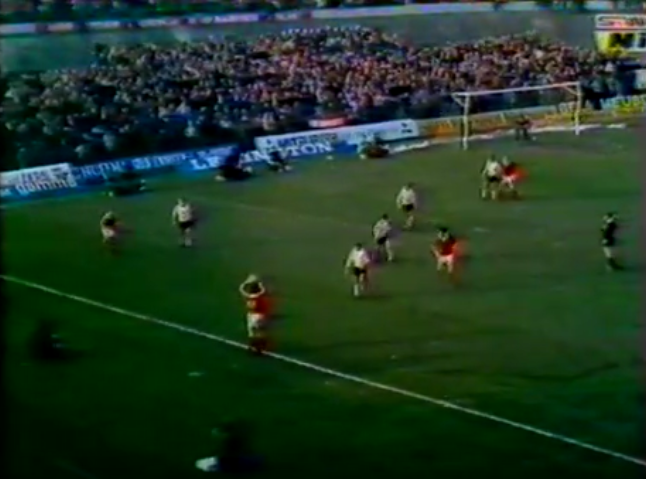 A mass pitch invasion follows and to start with, the main destination for many is the right hand side goalposts. 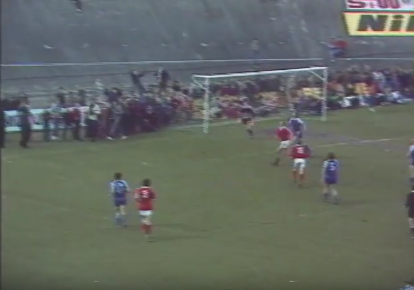 In a scene reminiscent of Scotland in Wembley in 1977 (a game pretty much too famous to bother covering on here) the supporters swarm around the uprights and shake them. 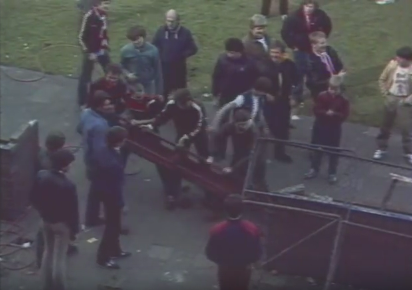 They are swiftly joined by others hanging from the crossbar and within seconds the old girl comes crashing down. The self-inflicted demolition of the Galgenwaard has begun. 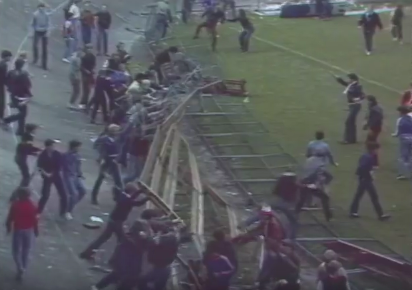 Doubtless, the goal at the opposite end is subject to similar treatment, but next we see an area where a fence has/is being pulled down and the mob are attempting to tear large sections of wooden seating out of the earth and concrete slope. They succeed, and the result is a very satisfying wave effect. Another section is targeted next and, admittedly after some struggle and an aborted attempted, is eventually turned over too. 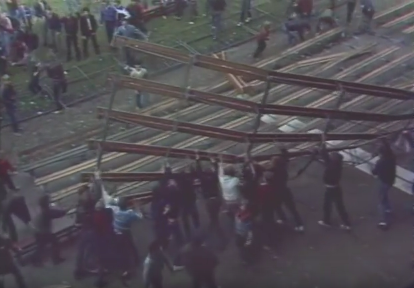 Anything that can be ripped from the ground is taken and broken, or used as a battering ram, as the supporters pay homage to their “old” ground by destroying it. 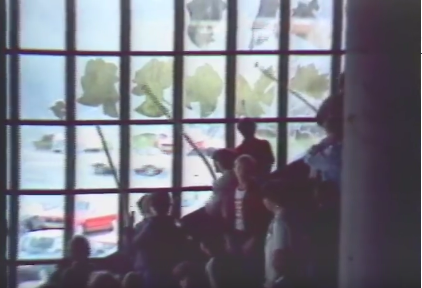 However, any concerned parent watching the footage may have understandably misinterpreted it as some sort of dystopian, youth uprising against modern polite 1981 society. One concerned man, possibly a parent completely misinterpreting the situation and unaware that the stadium was to be rebuilt anyway, appears to appeal for calm and halfheartedly attempts to rebuild the stadium. Like so many instances of 20th century life, the situation has quickly turned into a modern health and safety enthusiast’s nightmare. Indeed in the midst of the chaotic destruction some sort of disaster seems imminent – the likes of which paved the way for the overly regulated world of the future. 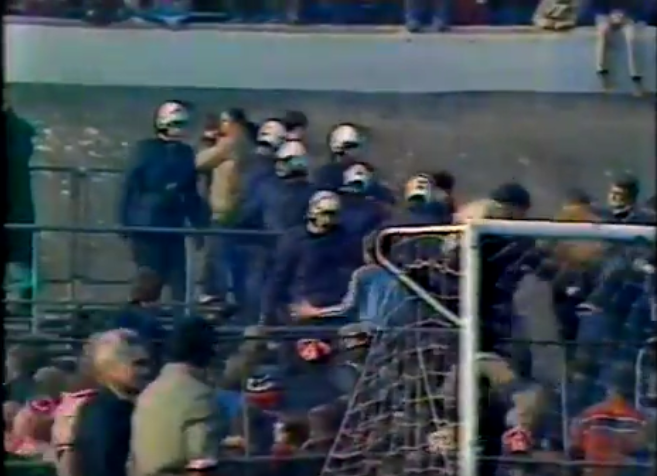 Along these lines the “danger level” increases, especially for those outside the stadium at ground level, with the smashing of glass panes from inside one of the stands. The “concerned parent” from earlier can now be seen concentrating very hard on repeatedly kicking down a small pile of bricks, proving my assumptions about him and his mental faculty entirely wrong. 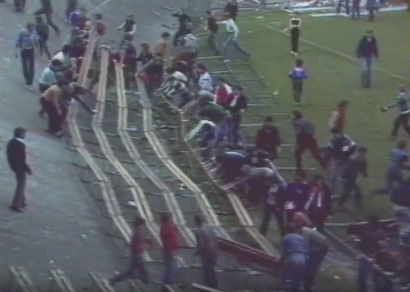 Meanwhile, the destruction of more wooden-board seating continues in several sections with a successful deconstruction technique now established. It really really is an extraordinary sight. 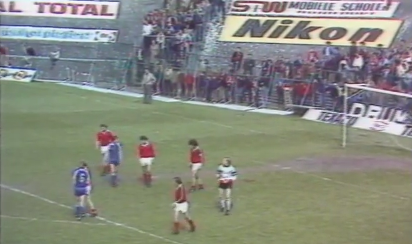 As we prepare to leave the scene, we finally come back around to the now long demolished goalposts. 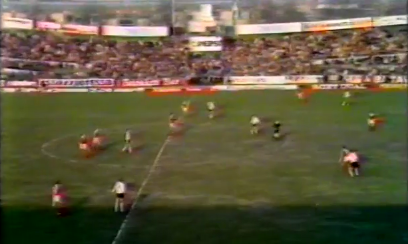 The camera then pans to the middle of the pitch where we see the hundreds still milling about and get one last look at the glorious main stand with it’s random dip in the middle. 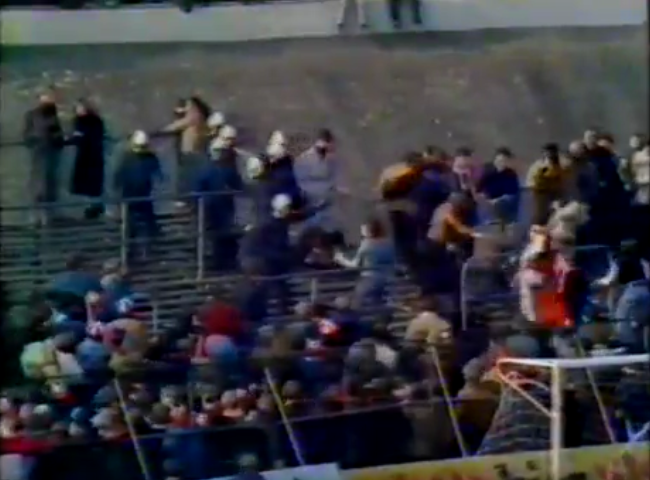 We salute the Stadion Galgenwaar in it’s original incarnation, 1970-1981. FC Utrecht played out their three remaining home games at the Nieuw Monnikenhuize stadium (which translates to “New House of the Monks”, excellent) in Arnhem, home of SBV Vitesse, and would finish the season in third (their best ever league position to date ) ahead of Feyenoord and PSV and behind Ajax and champions AZ. But the main thing to take away here is that we have seen an event that, out of context, could appear to be a shocking series of mindless vandalism and destruction, but in reality is a local bonding exercise of community service and an act of charity for the demolition company who’s job was made a lot easier.